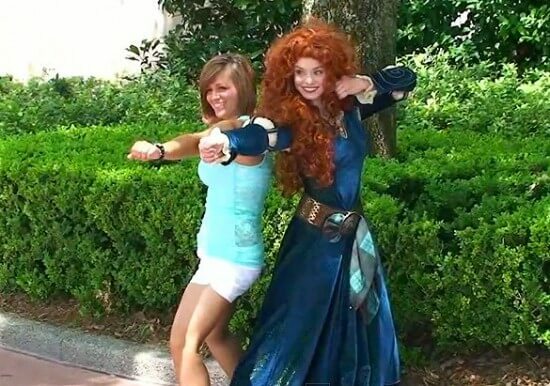 Though the official meet-and-greet spot for Disney’s newest princess Merida, from Pixar’s upcoming film “Brave,” won’t debut at the Magic Kingdom for another couple weeks, Walt Disney World has already brought out the expressive redhead for a few “test” greetings with fans. Armed with a noticeable, but entirely understandable Scottish accent, Merida began making unscheduled appearances at Epcot to begin getting acquainted with daily guest encounters before making her grand debut later this month. Guests lucky enough to happen across her at a variety of locations throughout the park have learned a bit about her heritage, family, archery skills, and connection to the mystical world around her. We have more about the permanent Magic Kingdom meet-and-greet here. 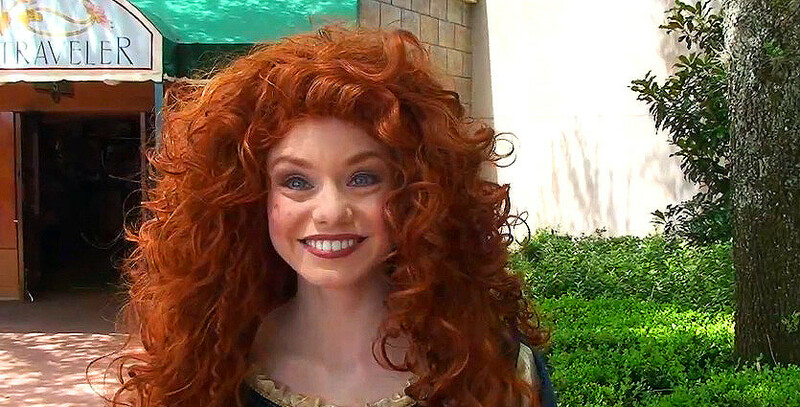 Jeff Lange of JeffLangeDVD.com and Denise Preskitt of MouseSteps.com chatted with Merida this morning and posted a video showing just how animated this real-life character is in the parks. Merida in-person appears to be just as emotion-rich as she has been seen in the many trailers and clips that have been released for “Brave,” due out in U.S. theaters on June 22, 2012. …and always is ready with a big smile. 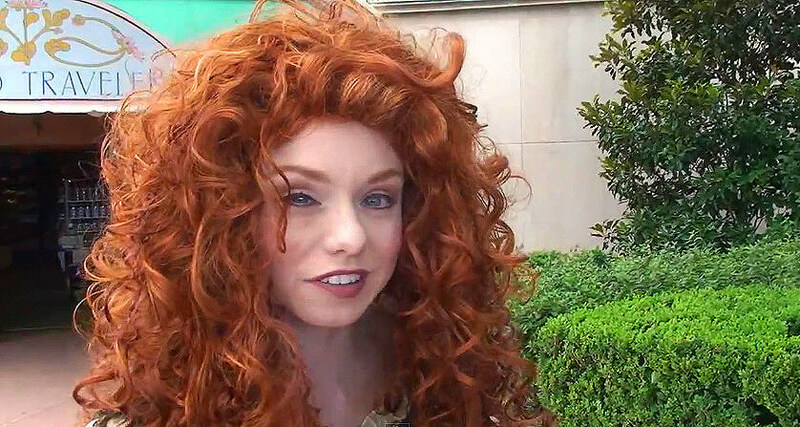 Merida is Pixar’s first “face character” for Disney’s theme parks, though she recently made her first meet-and-greet appearance at CinemaCon in Las Vegas. Her permanent Magic Kingdom meet-and-greet home in Fairytale Garden is scheduled to open later this month. Until then, she may be seen here and there around Epcot. WOW! 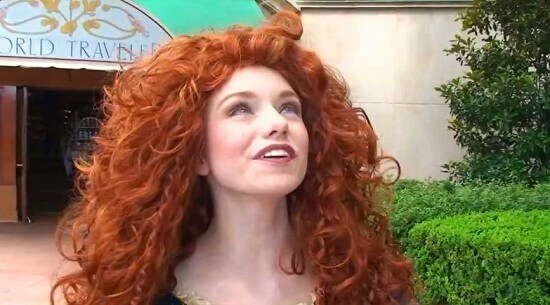 That “friend of Merida’s” is GORGEOUS! And she’s so animated too (pun intended). She’s marvelous! I am really excited to see this story because I know nothing about this film and will be totally surprised by what happens. I think there will be magic, adventure, excitement, and I bet it will be funny too. 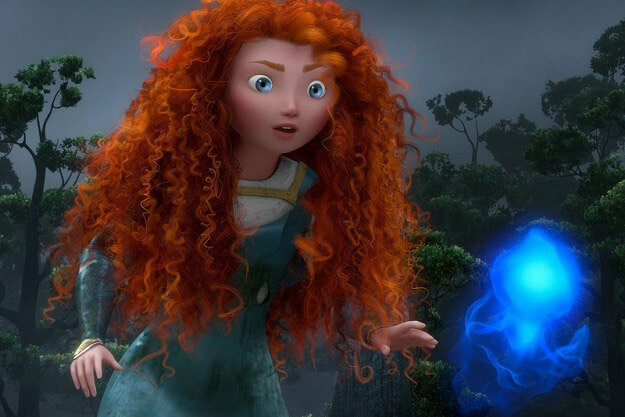 Still trying to figure out the connection between the three brothers Merida has and the fact that there are three bear cubs in the movie…do her brothers get turned into bears by a curse? I am excited to find out! Oh dear god is that a fake Scottish accent I hear? Oh how awkward. Jeez, picky much?? Firstly, this is a brand-new concept; give it time to get used to the world. Secondly, it’s not that bad! 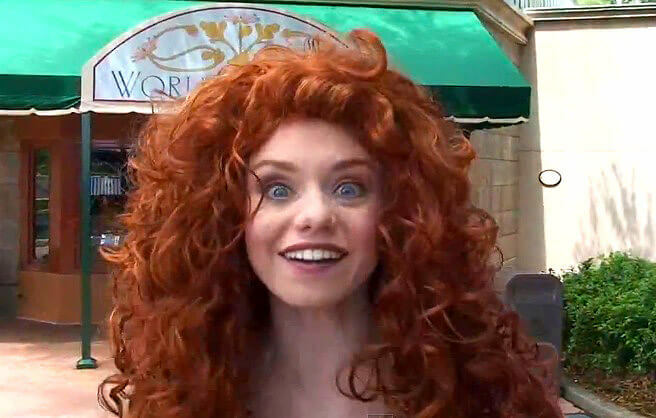 Do you know if she will be at Epcot next week? We’ll be there from till the 13th and would love to meet her. She has no set schedule and may or may not appear each day until her Magic Kingdom home is ready later this month. She’s great! I can’t wait to see the movie and I hope she is there when we come to WDW for our Honeymoon in August! ps-I am sooo jealous because I am sure this cast member got to see the movie already, many times over!!! She looks the part, seems motivated but that “Scottish” accent is cringingly awful. She’d do better just talking with an American accent. 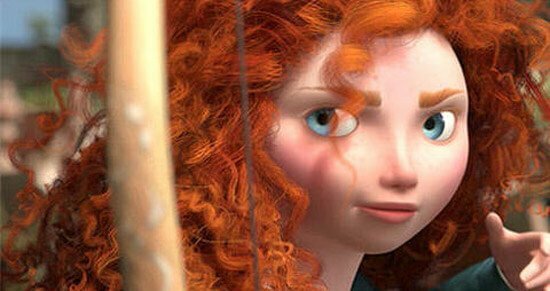 Aside from painful linguistics, it’s lovely to see Brave in the parks. That accent? Scottish? Sounded alot like irish to me! I think even she realised she was slipping into an irish brogue, hence the gulps, and self correcting! Looks ok though. Must be tough going out when people dont know you too well. Maybe she needs a horse near by? Can’t wait to meet her in September! But all I can think of when I look at her is how hot that wig must be. Accent Shmaccent – No cynicism allowed at Disney. 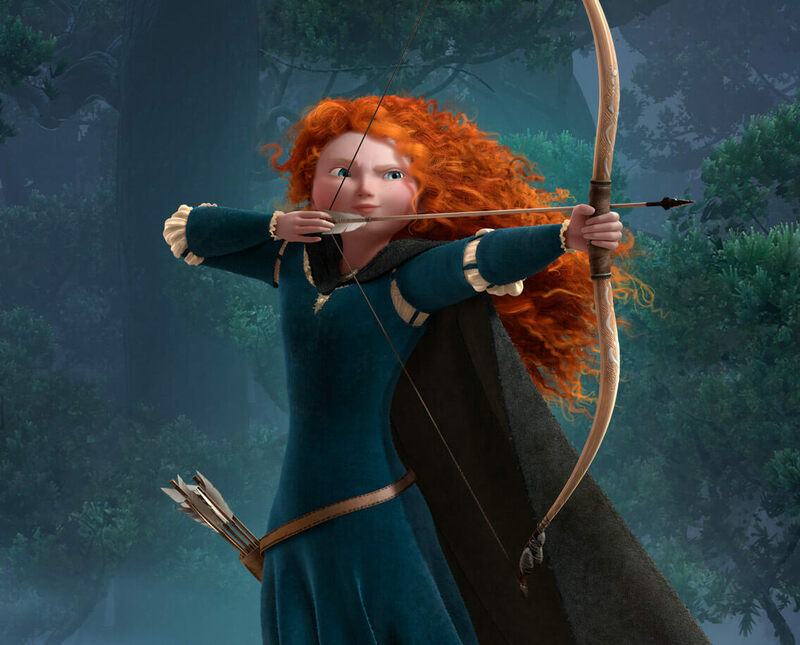 She’s lovely, in-chartacter and looks like a Merida clone. Give her a break…she’s trying very hard.